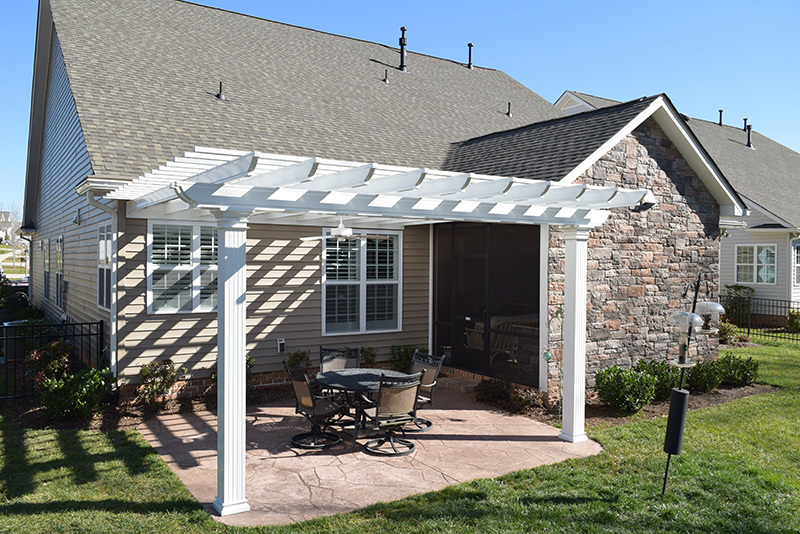 Cornelius, NC Backyard with New Pergola Now Ready for Spring! 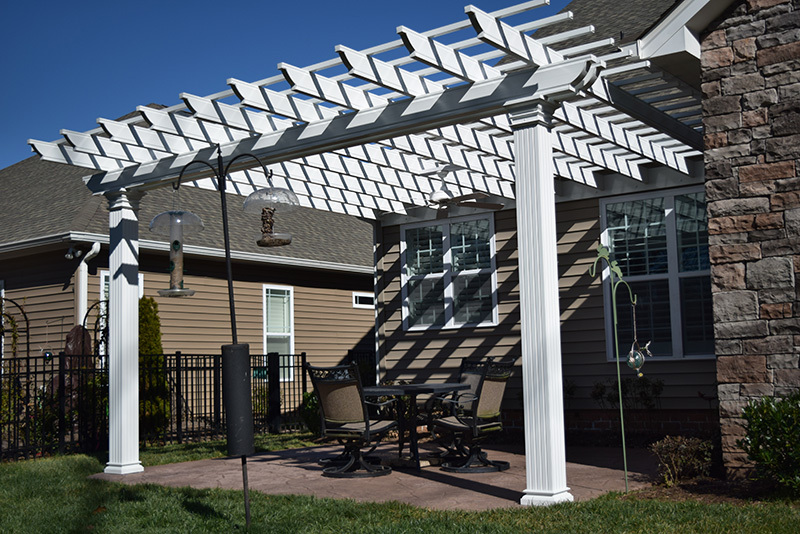 Look at this beautiful screen porch and pergola in Cornelius! 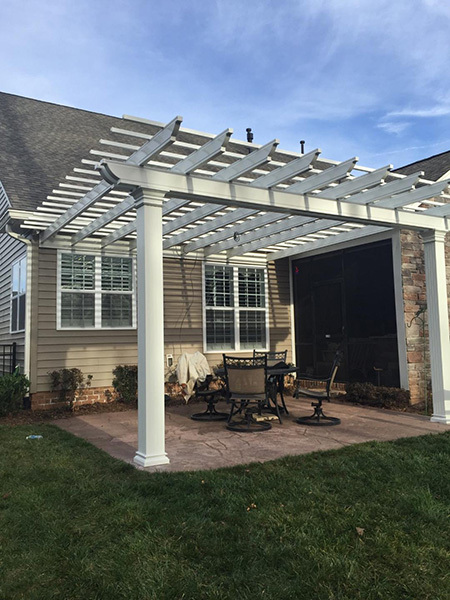 The maintenance free pergola matches the house trim, completes the outdoor living space so this JAG client can enjoy the outdoors with some shade and added architectural detail with their stamped concrete patio area. JAG even added a ceiling fan to help speculate the hot NC air. 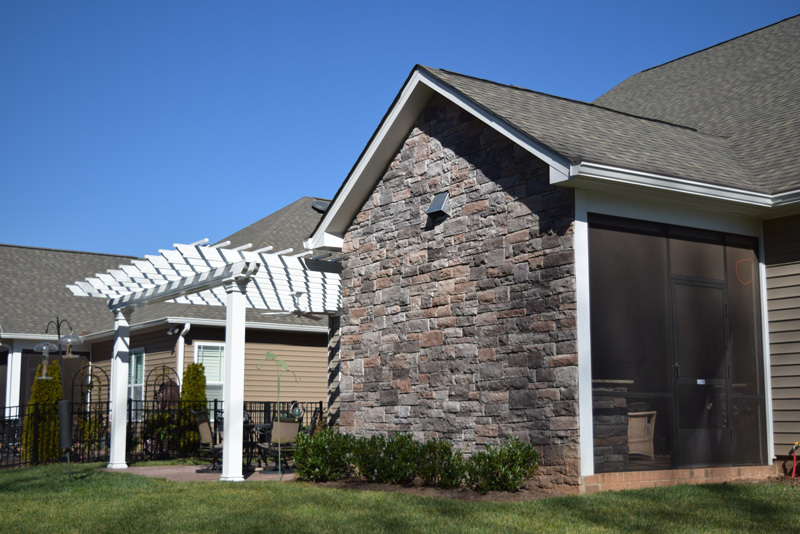 Don’t wait until spring to get started. 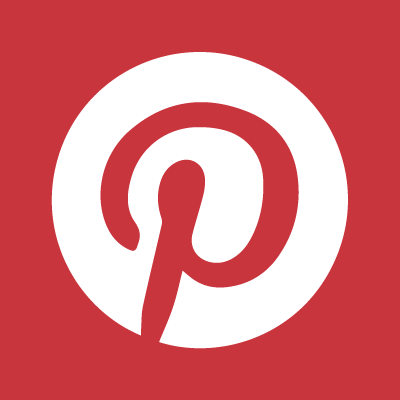 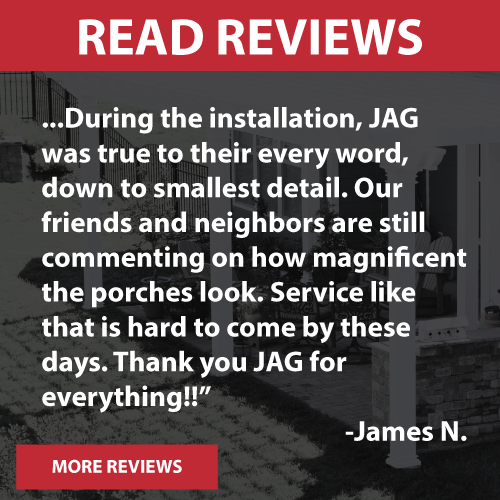 Call JAG for your screen porch, patio, pergola, outdoor kitchen or even to clean up your outdated deck with new decking and rails.